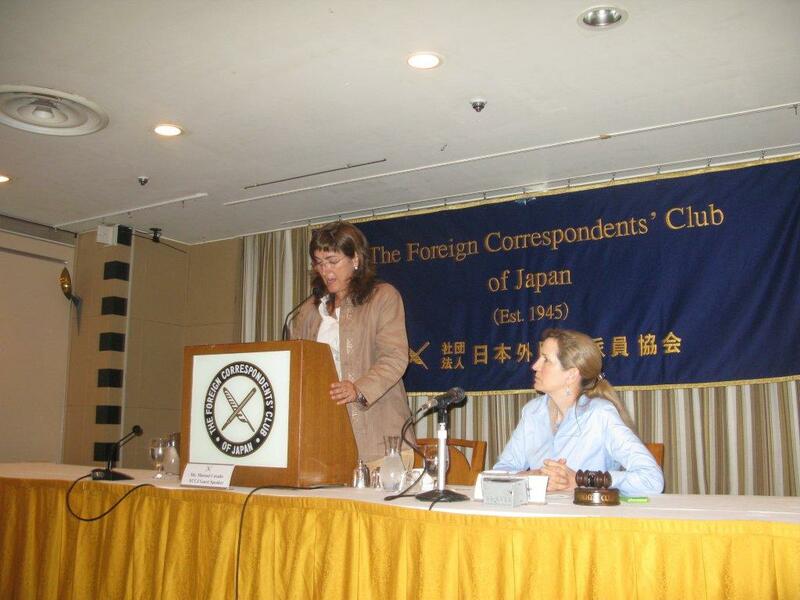 Marisol Casado, President of the International Triathlon Union, was the first IOC member to visit disaster stricken north east coast of Japan, Shichigahama in Miyagi Prefecture, a famous triathlon mecca on September 14, and spoke at Professional Luncheon hosted by the Foreign Correspondents’ Club of Japan on the following day. IOC President Jacques Rogge was a guest speaker of the Club last July. She discussed how sports could support the region’s revitalization, uniqueness of her sport in the Olympics on gender equality and speedy growth in number of participants worldwide in recent years. She is visiting Japan for the 2011 Triathlon ITU World Championship in Yokohama this weekend.